Hi there!! I am having so much fun making these shape cards. I love them!! 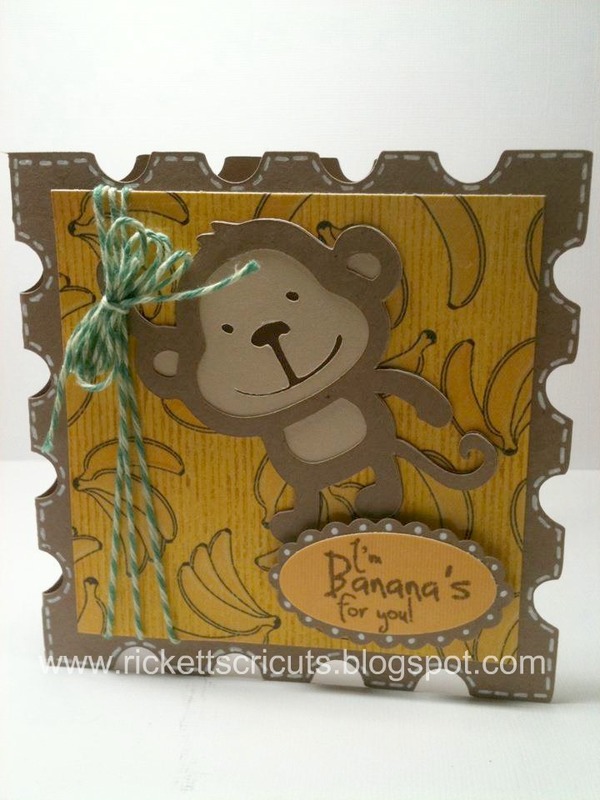 I couldn't wait to make a card using the sentiment "I'm Banana's for you!" from Jaded Blossom! I ran straight to Hobby Lobby and got the perfect paper for the background! This is sooo cute Kim! I love it! this card is tooo cute! and I love your blog's new look!! adorable puppies!! LOL sooo cute. I had to have this paper too-- now I need the stamp :) Love it! Awww. your cards are adorable!!! So adorable! I like the stitching around the sides, and the twine. Adorable! As usual! Love it!